William (Bill) Cory coordinates the Advanced/Open agility class at K9Xpress. 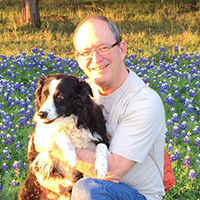 Bill has been active in agility training since 2002 with his two exceptional Border Collies Jasmine and Dixie. Their training has come from the master teachers at K9X who have generously shared their talents. Seminars and vocal feedback from his dog have rounded out Bill’s training. They have been awarded three Championships consisting of two NATCHs from NADAC and one MACH from AKC. His teaching techniques are based on positive feedback and his classes encourage interchange of ideas from class participants. The frequently spoken phrase “have fun with your dog” is a guiding principle. Dominique has been a dog lover since she was very small. Having finally gotten a dog of her very own she insisted on taking all the training there was to offer, including a puppy agility class. After that class she was curious to try more and took a beginner class in 2010 with the Travis Agility Group. She was hooked and adopted her border collie/dachshund mix, Gigi, in 2011. As many of us say about our own dogs, Gigi taught Dominique everything she knows. Dominique now also has a Border Collie, Vin, and a new Border Collie puppy, Wit. Dominique started to learn how to teach agility at K9X by shadowing Lori Fennell and Joy Mercier, following them around and asking questions about how dogs learn and how to teach agility. Currently Dominique is a substitute instructor; in the past she has taught “Level 1: Beginner Agility” and “Level 2: Foundation Skills”. Dominique currently competes mainly in USDAA in the Masters ring with Gigi and in the Starters/Advanced ring with Vin. When not competing or training her new puppy, she continues to receive formal agility training through classes at HOT Dog Sports and seminars. Kim has been training dogs since 1978 and recently came back from retirement. She competed in obedience for 20 years and started training in agility in 1993. She started competing in AKC obedience but when she and her dogs looked for more excitement in the show ring, agility was the answer. She competed in her first agility trial with her Doberman, Rhetta, in 1994. She has agility trained 8 of her own dogs – Rosa, Rhetta, Wichita, Ezri, Pogo, Trixi, Stella and Lupe – ranging from 9 pounds to 60 pounds. 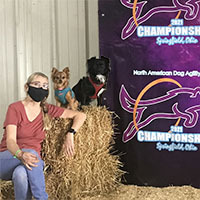 Kim has experience competing in three agility groups (USDAA, NADAC, AKC) and has competed in the NADAC National Championships twice. Pogo was the highest scoring versatility dog with ZERO faults at NADAC National Championships in 2009, earned 6 NATCH titles and is in the NADAC Agility Hall of Fame. She and her dogs also compete in flyball on Dogz Rule! Lauren started in agility with her blue heeler, Truco in 2010. She has competed in NADAC, AKC and USDAA venues. At the time of his retirement, Truco had earned many titles in each venue, including all his favorite activities – NADAC TNS-E (tunneling), AKC OAJ (jumping) and USDAA SPG (gambling). Lauren is currently working with her red heeler, Mojo, working to overcome his reactivity through positive training, relaxation and confidence-building techniques. “Baby” Ziva is attending “Level 2: Foundation Skills” at K9X and classes at HOT Dog Sports. Ziva’s fan club is eagerly awaiting her competition debut when she is old enough! 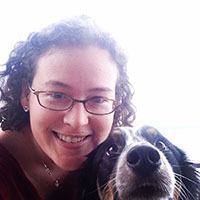 As the current instructor for the “Level 3: Novice”, Lauren encourages students to improve the timing and frequency of their reinforcements, to not ‘fix’ every mistake, and to communicate precise and timely information to their dog. She has also taught beginner and intermediate level classes. 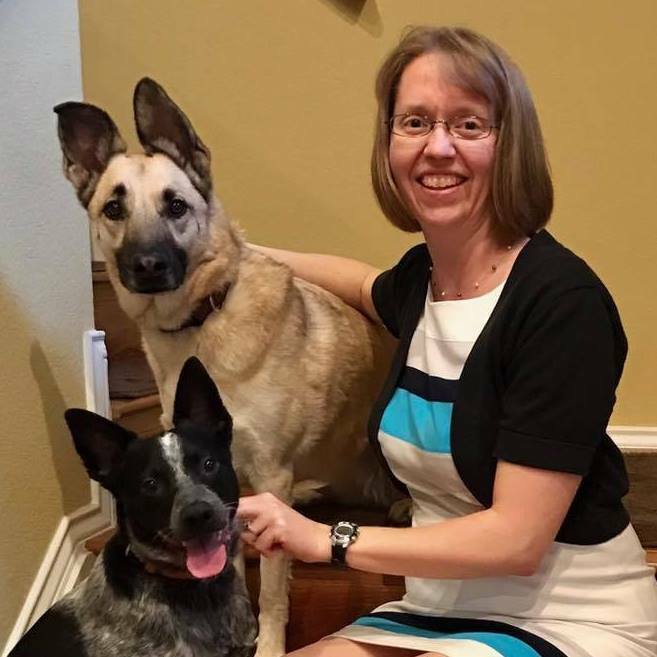 Lauren has participated in other dog sports training and competitions (including nosework and tracking) and dog events including Barkitecture, the Mighty Texas Dog Walk and Barks for Beers. 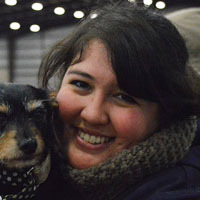 Danielle has been training in agility since 2007 when she started with her first agility dog, Anja, a sheltieX. Anja went on to earn championships in NADAC and USDAA agility. She is now almost 13, but still competes occasionally! Danielle is currently training/competing in USDAA & UKI with Wren, a four year old border collie, and Kaladin, a 1.5 year old saluki. Danielle especially loves training with beginner teams and watching the “baby” dogs figure out how much fun they can have! Danielle teaches Beginner classes and the Level 2: Foundations Skills class. Jaime started training in agility with K9X after she got her first dog, a shepherd mix named Sadie, in 2003. Jaime started taking agility classes with Sadie to burn off some her puppy energy, but they quickly discovered it was not only fun to learn new things, but it also increased the bond between them. They trained together for just over 11 years and ended up earning some titles in NADAC along the way. Jaime is currently working with her second dog, Eddie, an Australian Cattle Dog mix, who is reminding her how to be patient. 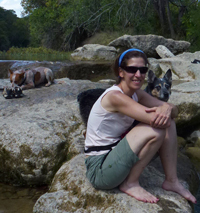 Jaime’s teaching style is relaxed and her positive approach tries to help you remember to keep it fun for your dog. She currently teaches the Level 2 class.